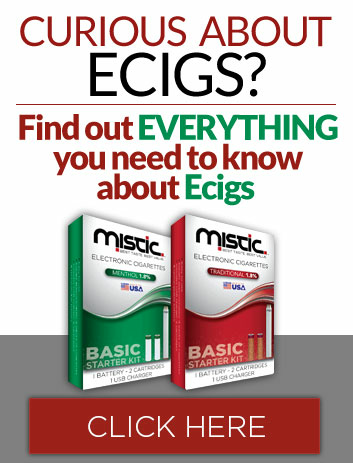 Each Mistic E Cig cartridge contains premium e juice with the familiar, comforting flavor of traditional tobacco. The combination of 1.8% nicotine and 100% PG means that the e juice delivers lots of rich, satisfying flavor with a strong throat hit. These cartridges are made for use with Mistic Electronic Cigarettes only. To use them, you’ll need a rechargeable Mistic e-cig battery. Traditional 1.8% cartridges are also available in 3 Packs, 5 Packs, and 12 Pack bundles. Love this product, but getting very hard to get. I have used mystic ecigs for over 4 years. Since they are made in USA and not China I have had no refills that don’t work. I would like to try Silver 0% nicotine but can’t find them anywhere. Happy with this product. Since they are now make in USA I have found no blanks! Would like to try Silver 0% nicotine but can’t find them anywhere. My favorite e-cig and they are impossible to buy in my small town. I smoked just one of these and have smoked nor craved another tobacco product since. And that 1st Mistic was back in 2010. Sam’s Club, and have been feeling great since then. (over 5 years) Thank you Mistic. I’ve tried several different E-cigs, these are the best! Are you discontinuing the 1.08 natural flavor for good? If so, what a shame ! Why is it so hard to get a hold of this company on the phone. They never answer the phone or return your calls when u leave a message. You must of closed early because I called twice between 2pm n 3:45 pm.